Future Saga Cruise Ship To Be Named "Spirit of Discovery"
Cruise News Future Saga Cruise Ship To Be Named "Spirit of Discovery"
British-based cruise line Saga Cruises has revealed the name for its upcoming cruise ship coming in 2019. Saga Cruises first brand new cruise ship which is coming in Summer 2019 is to be named “Spirit of Discover”. 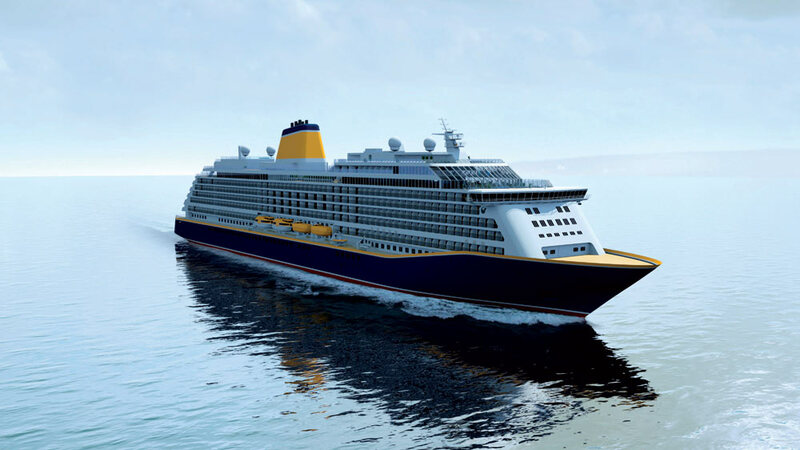 It is the first time the cruise line has ordered a new ship and will take Saga into a new era of cruising. The new class ship will carry just under 1,000 guests so the intimate and personal experience of Saga Cruises will continue. Spirit of Discovery will also cater towards single cruisers with over a 100 cabins catered for them. The ship will be built by Meyer Werft in Germany at 55,900 gross tons, 234 meters long and 30.8 meters wide.